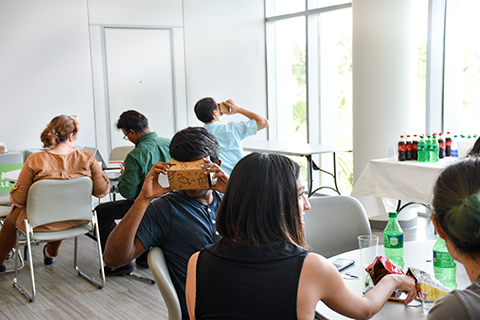 Last week, the Google for Education team hosted a free, 2-hour product session at the University of Miami that aimed to provide professional development around augmented and virtual reality tools, with an emphasis on practical use cases in higher education. 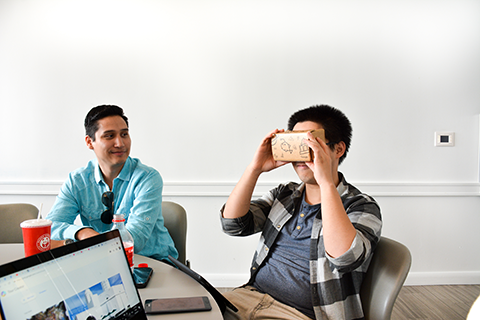 During the session, Google representatives and attendees spent time exploring Tour Creator and Expeditions, participating in hands-on demos of each platform, as well as discussing other AR/VR products such as Labster and Tiltbrush. 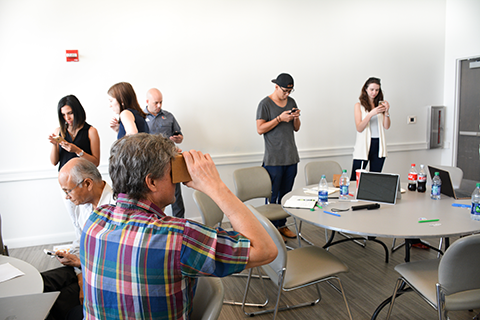 Google also provided cardboard VR viewers and tools that allowed attendees to try out Expeditions during the session and experience the technology first-hand. 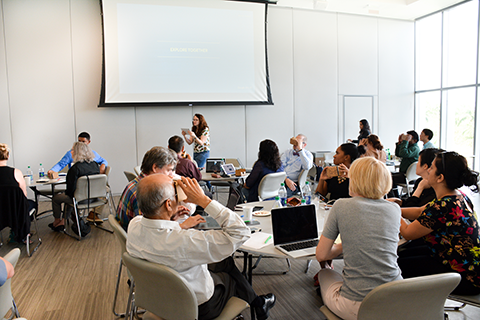 Over thirty participants including faculty, staff and students from across the University attended the event and are now able to apply the resources to their respective fields of study. 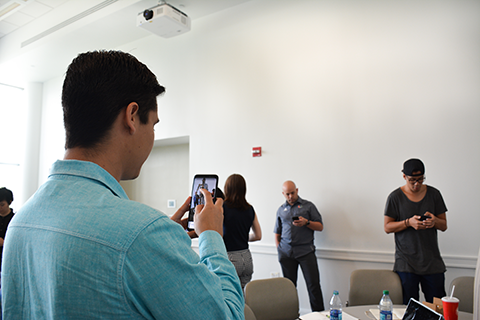 Students at the School of Architecture found Tour Creator especially useful for its potential in scoping out sites for future projects, as well as mapping existing conditions on site visits for later review. 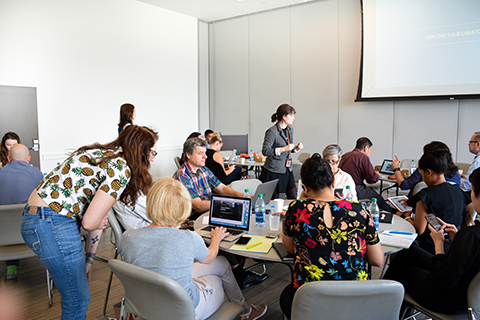 During the session Jamboard, was also introduced as a collaborative whiteboard application that allows users to work simultaneously on projects. It also permits users to add notes, pictures and diagrams that can be saved to Google Drive. 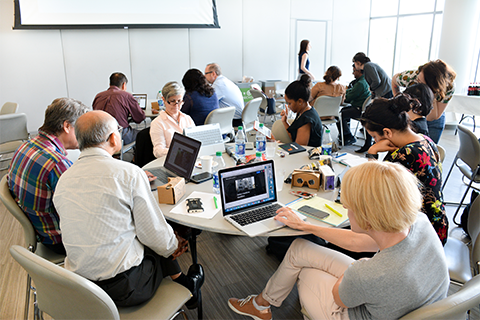 The technology is highly responsive, yielding almost instantaneous screen response and providing numerous opportunities for academic integration across all fields of study. Here are some additional resources for the products and programs discussed during the session. 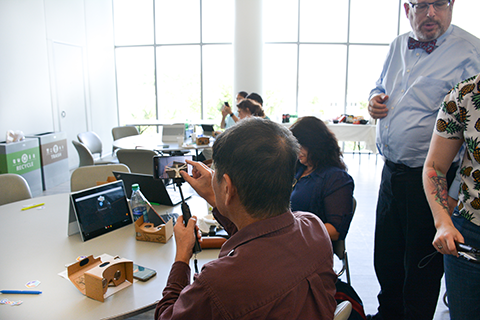 You are also invited to contact us at academictechnologies@miami.edu to consult on ways to incorporate Google products within your curricula and research projects.